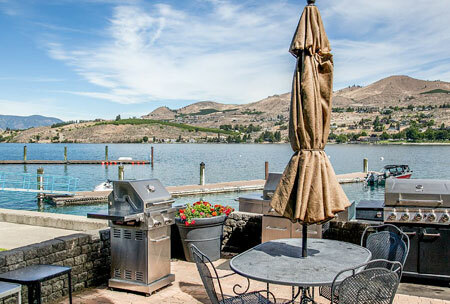 Peterson’s Waterfront offers the perfect vantage point to enjoy all Lake Chelan has to offer. You can sit back and watch the activity on the lake or take off from our private dock to enjoy and explore. 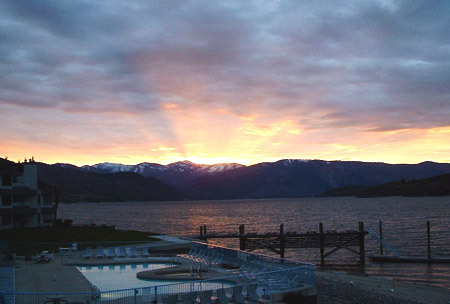 Lake Chelan is well known for it’s award winning wines. You can tour one of our many wineries, fish for salmon, enjoy Slidewaters with the family, swim, sunbathe, and shop, all in one day. All units are luxury condominiums with all of the modern conveniences of home. All you need to bring with you are personal items and beach towels. This is our second visit here and we’re looking forward to our third. 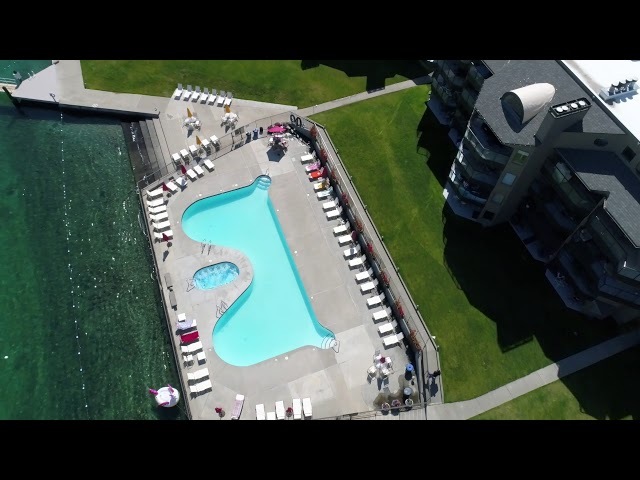 It has a pool ,jacuzzi and a boat dock with sweeping view of Lake Chelan. Pleasant and helpful staff in the office. Easy walk into town. Our 2 bedroom unit is spacious enough for 4 adults and is equipped with 2 tv’s, fireplace & deck. Comfortable furniture. Will stay there every time we are in Chelan!! LOVED it! Lake Chelan is an idyllic setting, and Peterson’s Waterfront is an excellent resort, only 2 1/2 hours from Seattle by car. Amenities include fireplaces, and absolutely gorgeous views of the lake from every unit. The maintenance of the grounds and the rooms is exceptional. Peterson’s offers a great beach, pool and hot tub; tennis, volleyball, and its location is perfect for a quick walk into town for shopping, dining, and kid’s activities. There’s great golfing just minutes away. 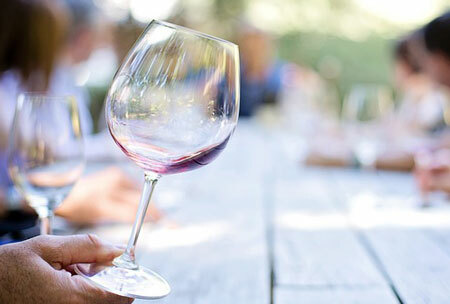 You can even spend a day or two visiting the great wineries. There are 13 of them to enjoy! Chelan is perfect for any season. In winter there is snowmobiling and skiing, summer fun abounds on the lake. And spring and fall lend themselves to cozying up by the fire to watch a video, or read books. Don’t have vacation plans yet? No problem, we have availability! 3, 4 & 7 Nights available.